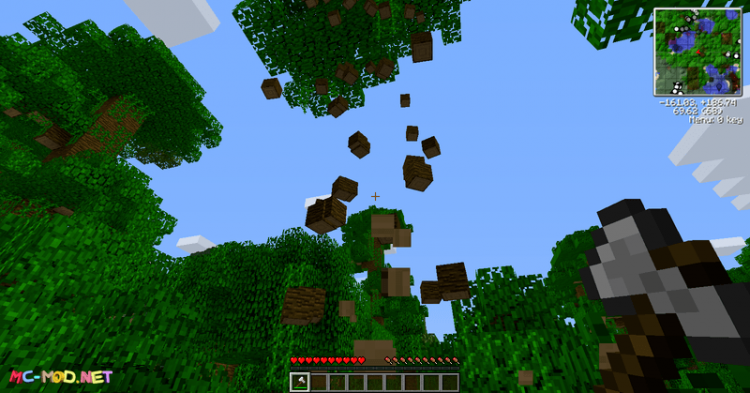 Felling Mod 1.12.2/1.11.2 for Minecraft adds into the game a new enchantment called Felling, which is very effective in lumbering. Felling mod has a function similar to mods that can cut down the whole tree (Whole Tree Axe, Lumberjack, Treecapitator,…). When you cut the tree at its base, the entire tree will collapse, and every wood block will fall to the ground, making it useful in collecting all the woods and avoid floating foliage which is very annoying. 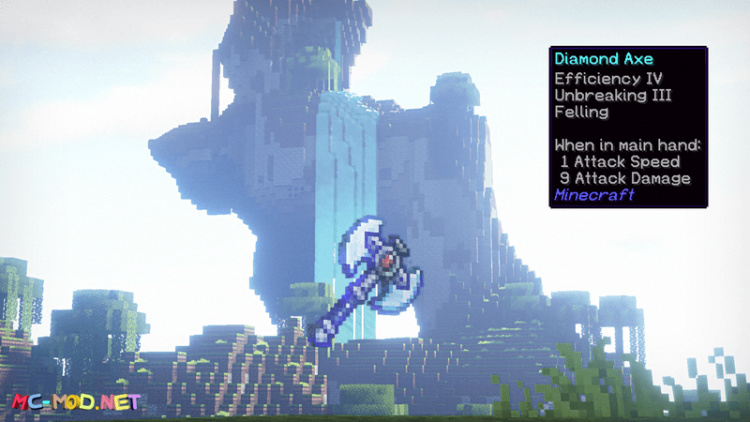 However, the Felling mod is different than other mods, is that this feature works as an enchantment on axes, so you must have at least one enchant area to use the mod, thus making it impossible to abuse the mod in the early game to hack wood. The enchantment itself is relatively rare, Felling I will be able to chop all the wood upright from under the tree, Felling II will cut all blocks together, very useful when cutting a big tree with large foliage. Because axes have limited durability, you don’t have to worry about the game being imbalanced. You can download the latest version of the Felling Mod Mod from the link below and follow the instruction to install. Do not forget to check if the mod needs any additional mod to run. Happy gaming! Download Forge Installer, Felling.jar file.